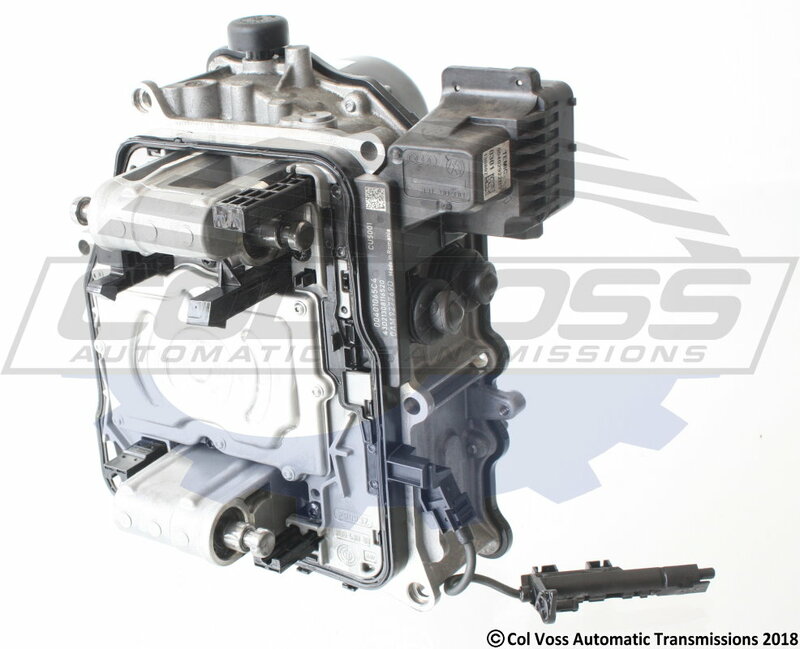 In 2008 the release of the 7 speed dry clutch DSG transmission was fitted to lower torqued engines below 250NM. Known as the DQ200 or 0AM dual clutch transmission it is 23kg lighter than the 6 speed DQ250/02E wet clutch transmission. The DQ200/0AM includes three main components the Dry Dual Clutch assembly, the mechatronics unit with it own oil supply and the main gearbox assembly. The gearbox when on its own works like a regular front wheel drive manual transmission. There is a schedule to change the fluid every 60,000kms or 48 Months, the bearings inside of the transmission are known to wear causing debris which can cause issues with the shift rail sensors. The dual clutch touch points can also be re learnt during a service procedure to help eliminate clutch wear due to clutch shuddering normally during the 2nd gear application. No.1 The Control module with integrated sensors. 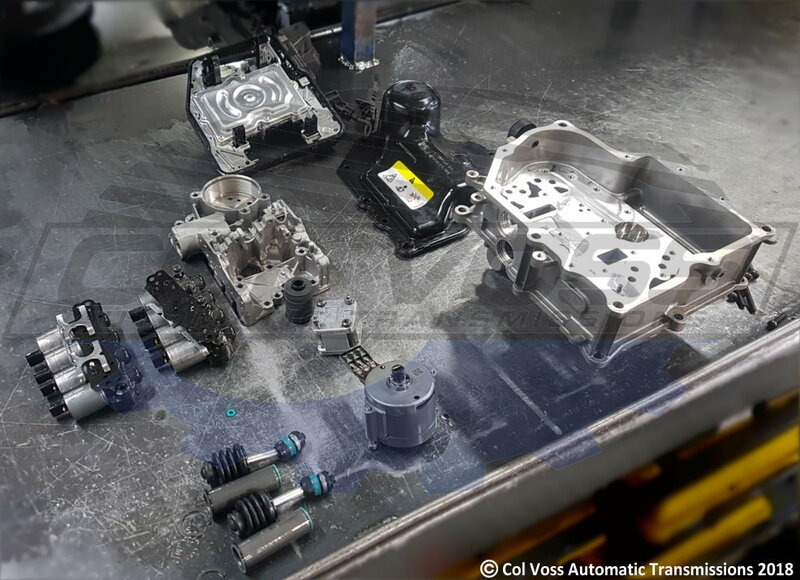 The most common problem with the Mechatronic Unit is loss of drive & reverse and signs of green or blue fluid under the vehicle. If the transmission module is scanned the following codes maybe present. As the mechatronics unit is supplied by the dealer as a complete unit if any of the internal components fail the whole unit will need to be replaced. We can now offer our customers a repair option for the above failure saving customers up to $1000-$2000 is some cases. To confirm your vehicle is fitted with a 7 speed DQ200 transmission look at your gear shifter it should have DSG imprinted into the chrome. Also if the vehicle is still driving the applied gears will display on your dash then counter the up shifts to 7th on a freeway. * Selected Automatic Transmission overhauls/rebuild are covered by our 3 years/60,000kms Warranty. Your tax invoice will have our warranty terms printed on the back or please click here for warranty terms. ^ We understand when your transmission fails you may need your vehicle to be towed, we offer free towing for customer on selected repairs within a 10kms area.